Set in Poland in the early 1960s and shot in a 1.37 aspect ratio, Ida (2013) is high-grade catnip for aficionados of vintage black-and-white Eastern European cinema. The latest film by Pavel Pawlikowski, one of the most astute and insightful observers of human nature working in movies today, is the furthest thing from a nostalgia trip, however. 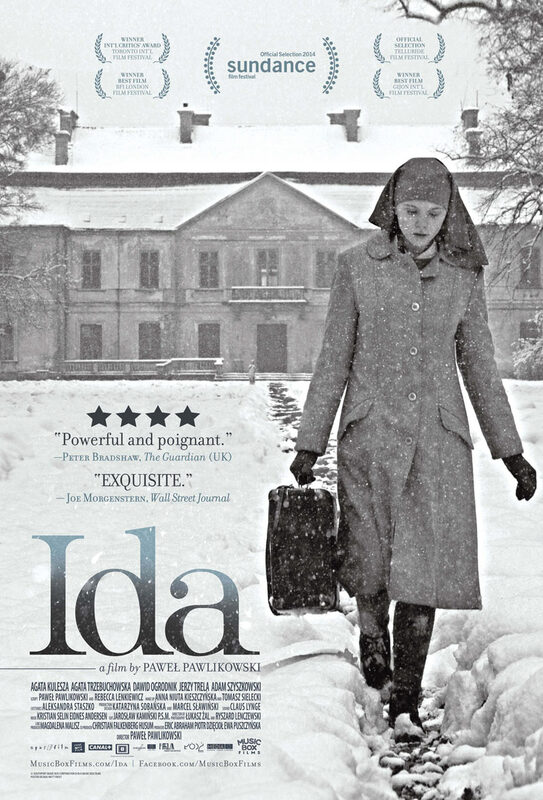 An unfiltered, unblinking journey into the interior—of the land of Pawlikowski’s childhood, and the enigmatic psyches of its female protagonists—Ida confronts the crimes of the last century and, inevitably, the responsibility of living in this one. Ida pairs a naïve, inexperienced teenager whose entire life has been spent in a convent with a dissolute, disillusioned judge who embraces the specific, self-destructive bitterness of a once-idealistic Marxist. The women are related, and Jewish, we discover (along with Ida) in the first 10 minutes, and set off on a road trip to find and unearth their shared, buried past. The mystery unravels, along with Ida and Wanda’s carefully constructed personas, in a procession of sunless daytime landscapes, unexpected meetings, handed-down history and shocking choices. One of the best films we’ll see all year, Ida brilliantly compresses more layers and contradictions in its succinct 80 minutes than one has any right to expect. Pawlikowski has lived in Britain since 1977, beginning his career with BBC documentaries before gravitating to theatrical narratives. The Last Resort (2000), My Summer of Love (2004) and to a lesser degree The Woman in the Fifth (2011) were well-received studies of opposites attracting, and can be seen clearly as prologues to Ida. Director Pawel Pawlikowski. Photo courtesy of Music Box Films. The new film conveys a particular era in Poland with its blasts of jazz, nods to youthful experimentation and hints of deeper change. In a phone interview, Pawlikowski recalled that Poland was the most open country in the Communist constellation in the early ‘60s, and that he sought to infuse Ida with that positive and anarchic energy. That window closed in 1965 and even more so in 1968, Pawlikowski notes: “So it wasn’t exactly like a transformation for the better. It was just like six years of grace, maybe, after Stalin’s death, and there was hope for socialism with a human face when [Wladyslaw] Gomulka came to power and censorship was weaker and jazz came in and pop music came in and new ideas came in. And good cinema was made in Poland, and great jazz. That was a really great time, when Poland’s culture was one of the interesting places on earth. My film is a kind of homage to that, in a way. I wanted to make a film in the same spirit, to make a film that doesn’t imitate any other films, that didn’t look to the West. That’s Polish through and through but without the complexes that go with it,” Pawlikowski says with a wry laugh. Pawlikowski has downplayed his own family history in an effort to discourage viewers from interpreting Ida in an overly narrow way. At the same time, he doesn’t hide it. 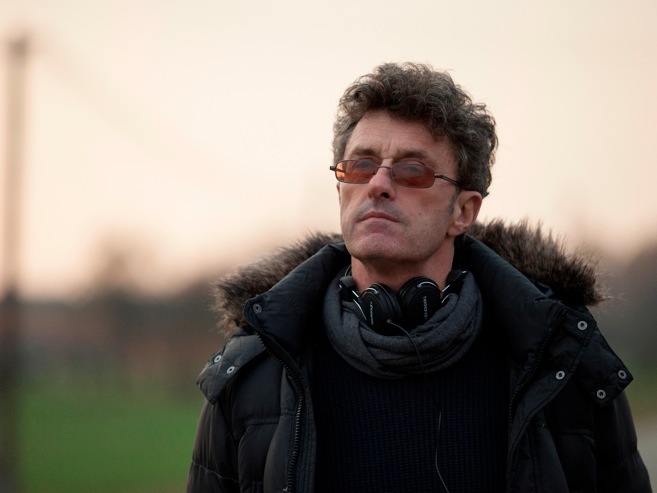 Pawlikowski would prefer to talk about Ida’s journey, awakening and examination of faith. This entry was posted in Films and tagged film interview, Films, Pawel Pawlikowski. Bookmark the permalink.